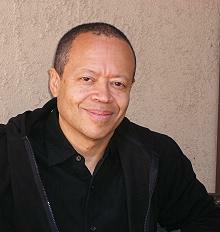 Steven Barnes is a New York Times bestselling, award-winning novelist and screenwriter who is the creator of the Lifewriting™ writing course, which he has taught nationwide. But Steve's true love is teaching balance and enhancing human performance in all forms: emotional, professional and physical. For more information about his courses, see his web site, listed below. Socially, interacting with fans gave me a reference group with friends, lovers, mentors and mentees. It's been great. There have been several cases where, years after an interaction, a fan said that I had changed or saved their lives. That...is the greatest complement anyone could offer. The living human being I would most like to have a searching conversation with is Nelson Mandela. The Dalai Lama wouldn't be bad, either. An Ipad packed with the great books of the world. Expansion of self knowledge and understanding of how to become an aware, awake, adult human being...and spreading that knowledge. That I fulfilled so many of my childhood dreams. Born: Los Angeles, California. March 1, 1952.